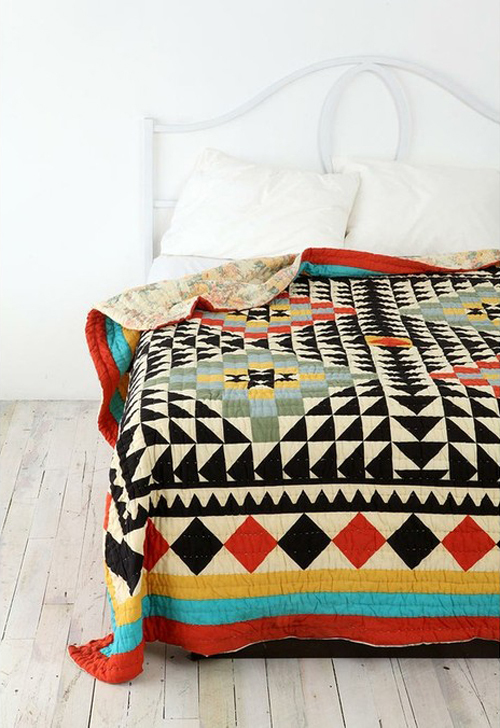 Today I am loving … this beautiful quilt. The color combination is stunning! Any idea where this can be purchased? I love it! It’s from Urban Outfitters. Though not a true quilt (it’s screen printed on with stitching over it), it looks great. OMG, I love this quilt!! It’s stunning – but a bit disappointing that it’s not a genuine quilt….. So pretty! And the three lines at the bottom for the flag of Colombia, my homeland. I’d love to have this so much.